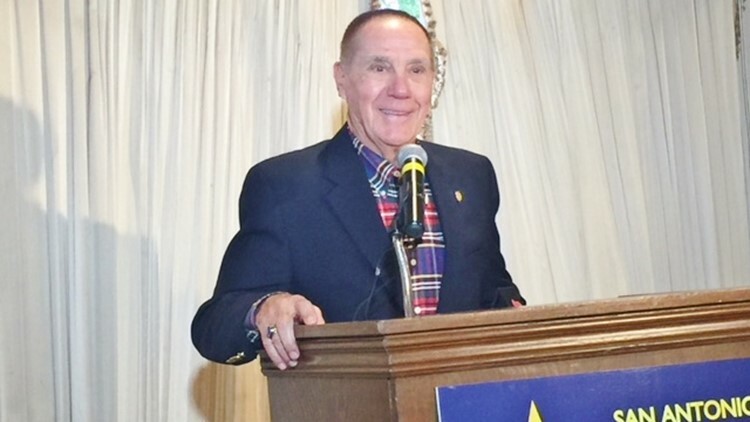 SAN ANTONIO — The San Antonio Sports Hall of Fame announced on Monday its Class of 2019, which includes a former Spur, a two-time Super Bowl champion, and a legendary high school football coach. And the fourth member is a world-class orthopedic surgeon who has been the Spurs' team physician for 25 years. Former Spurs forward Malik Rose, a fan favorite who won two NBA titles with the team; Bruce Collie, twice a Super Bowl winner as a San Francisco 49er; local high school football coaching icon Jim Streety; and Dr. David Schmidt will be inducted into the San Antonio Hall on March 6 at the Henry B. Gonzalez Convention Center. 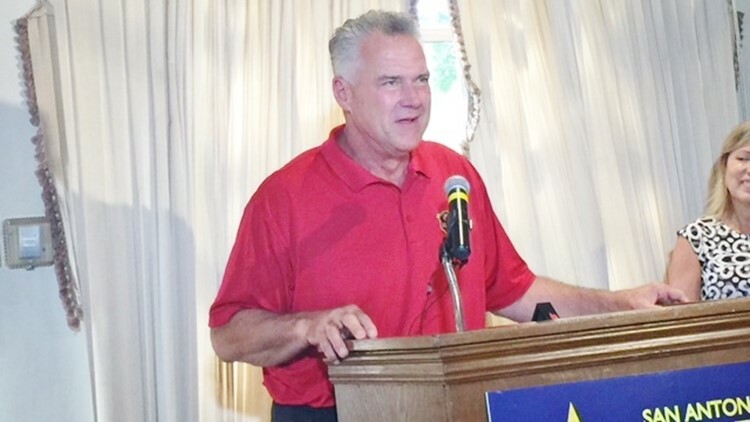 The Class of 2019 was announced at a news conference Monday at the Dominion Country Club. Known for his grit and hustle, Rose was a key backup player on Spurs teams that won the franchise's first NBA championship in 1999 and the second in 2003. Although only 6-foot-7, Rose more than held his own against bigger players when he subbed for David Robinson or Tim Duncan. Selected by Charlotte in the second round of the 1996 NBA draft, Rose signed with the Spurs as a free agent in 1997. He averaged 7.5 points and 4.8 rebounds in eight seasons with San Antonio before getting traded to the New York Knicks. Rose played 13 seasons in the NBA before ending his career with Oklahoma City in 2009. Rose will be the 12th Spur to enter the San Antonio Hall, joining George Gervin (1995, charter class), James Silas (1997), Johnny Moore (2003), Robinson (2004), Sean Elliott (2006), Avery Johnson (2009), Bruce Bowen (2012), Larry Kenon (2013), Artis Gilmore (2014), Robert Horry (2017) and Mike Mitchell (2018). Rose will be the first Spurs reserve inducted. Rose, 43, is now assistant general manager of the Detroit Pistons. "I've lived in San Antonio for most of the last 20 years, in and out, the last couple of years because I work with another team now," Rose said by phone during the news conference. "But every summer I get back. San Antonio, as you all know, is still home for me." "Living there the last 20 years, you hear so much about the great sports history and culture in San Antonio, and all the great people and accomplishments that have happened in San Antonio. It's kind of surreal for me right now," he said. Rose said he was "really, really humbled and excited at the same time" when he was told by Russ Bookbinder, executive director of San Antonio Sports, that he was a finalist for this year's Hall class. "You guys can look at the names of all the people who have been inducted into the San Antonio Sports Hall of Fame, and I don't know if anywhere in there there's somebody who averaged five points and four rebounds for their career on that list. But I really am thankful." Rose thanked all those who helped him along the way, especially his teammates. "Even Duncan, the creep he was," he said, drawing a good laugh from the audience. "I think all those guys helped me have a great career." Jim Streety already had been a high school head football coach for five seasons when Bruce Collie started his senior year as a lineman at Lee in 1979. Streety went on to win more games than any other football coach in Greater San Antonio history, going 343-131-3 in 40 seasons – 17 at New Braunfels and 23 at Madison – before leaving coaching early in 2014. Collie did all right for himself, too. After a four-year college career at Texas-Arlington, he played on two Super Bowl title teams as an offensive guard with the San Francisco 49ers. A fifth-round pick of the 49ers in the 1985 NFL draft, Collie played pro football for seven seasons before retiring after the 1991 season. The son of an Army doctor, Collie was born in Nuremberg, West Germany, and moved to San Antonio with his family when he was three. A 1980 Lee graduate, Collie played on the Volunteers' last district-championship team as a senior. Although Collie and his family live just south of Wimberley, he said San Antonio always has been home to him. "We've always come to San Antonio," said Collie, 56. "We always drive to San Antonio to shop. We always bring all of our relatives, family members, to the River Walk to see San Antonio. We love this place, this community, these people. As far as the awards go, I'm really jacked up about this. This is good stuff." Collie started playing YMCA six-man flag football when he was "9 or 10 years old," he said, and his first coach was Angelo Drossos, one of the Spurs' original owners. "His son was on the team, and we played together," Collie said. "You go from there to middle school at Nimitz, and then you go to the next step and it's high school, and then you go to the next step, it's college. You go to the combine camp (NFL Combine), you're drafted. It's the next step." "It's not like you sit around when you're watching the Dallas Cowboys back in the '70s, thinking, 'I'm going to play.' Maybe today, but back then, we just showed up. And then all of a sudden, it's like, well, you need to get in shape because we're going to invite you to the combine camp. That's what happened." Collie and his wife, Holly, have 13 children, ages 9 to 25, and at least half were at Monday's news conference. Collie operates Wimberley Brewing Company & Brewster's Pizza, a micro-brewery & pizza business in a building he designed and built himself. He also owns businesses in California. "You've got to keep 13 children busy, you know," he said. Collie and Hall of Fame wide receiver Jerry Rice were drafted in the same year by the 49ers. Taken with the 140th overall pick in 1985, Collie played on San Francisco teams that won back-to-back Super Bowls after the 1988 and 1989 seasons. The 49ers beat the Cincinnati Bengals 20-16 in Super Bowl XXIII and the Denver Broncos 55-10 in Super Bowl XXIV. Collie started in the rout of the Broncos. He retired in 1992 after two seasons with the Philadelphia Eagles. True to his character, Streety was humble when he spoke to reporters about his selection. "A blind hog will find an acorn every now and then," Streety joked. "I never expected this. Particularly when you look at the list of who's in the San Antonio Sports Hall of Fame and these guys that are getting in today. It's almost like, you know, let's put old Streety in there, too. He's getting old. Let's throw him a bone, you know?" Streety, 74, has been athletic director of the New Braunfels ISD since he left Madison in February 2014. Inducted into the Texas High School Coaches Hall of Honor in 1999, Streety entered the Texas High School Hall of Fame in 2015. He will be the 11th high school coach to go into the San Antonio Hall, joining such greats as D.W. Rutledge, Jerry Comalander, Nemo Herrera, Al Marks and Joe Cortez. "You've got to be proud of that, trust me," Streety said. Although Streety is in his fifth year out of coaching, he said a part of him still misses the game. "I've worked away from it," Streety said. "Of course, on game nights I still let myself get a little bit too much involved. But I love the game and I love coaches and kids, and it's hard not to get involved when you have those feelings." Streety deflected credit for his success to his coaching staffs at New Braunfels and Madison. "There are a lot of things that are involved in that," he said. "I was always a guy that let coaches coach. I was very much involved, but I was not a micro-manager. We had a basic philosophy and a basic way of doing things. I always made sure the guys knew what the expectations were, just like the players, and then let them do their thing. I think assistant coaches appreciate that because that allows them to grow." Streety, who grew up in Smiley, coached a total of 47 years. "It's been a great ride, I'll say that," he said. Schmidt has served as the Spurs' team physician since 1993, and has worked with several other San Antonio teams with the Sports Medicine Associates of San Antonio. Schmidt, 63, currently serves as the president of the NBA Physicians Association. "They didn't tell me I was going to have to talk," Schmidt said. "I've been blessed by my creator with a wonderful wife, a wonderful family and a great group of docs, Sports Medicine Associates, that are passionate about taking care of athletes. I love this community. I love what S.A. Sports has done." Schmidt not only is the Spurs' team physician, he and his group of doctors are fixtures at local high school athletic events throughout the school year. They open their clinic to football players from 7 to 10 a.m. every Saturday morning during the season. "We've got 10 docs and on a Friday night or a Thursday night, every one of those docs is somewhere on the sidelines," Schmidt said. "And on Saturday at 7 a.m., if you're an athlete from Cotulla or Crystal City, you know that you show up. You don't need an appointment. You can show up and you'll be seen. We can do an MRI that morning if you need it." Schmidt said he and his team of doctors see 40 to 60 high school athletes every Saturday morning. "It's just something we feel is important, for the kids to always know that after Friday night, if they've got an injury, they can come get seen. It's been a blessing." Asked if he ever gets tired of being at a high school football game on a Friday night, Schmidt said: "What's the old saying? If you love what you do, you never go to work? Hell, I haven't been to work in 30 years." Schmidt is so dedicated that he was on the sideline for an Alamo Heights home football game on the night after receiving the news that his son, Marine Lance Corporal Benjamin Whetstone Schmidt, had been killed on a mission in Afghanistan on Oct. 6, 2011. A 2006 Alamo Heights graduate, Benjamin played football for the Mules. "We found out on a Thursday night and my whole family, we all went to the Alamo Heights game Friday night," Schmidt said. "We were playing New Braunfels and all of the guys met a midfield before the game and had a prayer. We knew that he (Benjamin) would say, 'You all need to go. You all need to go to the game." And so we did. Every time I go that stadium, it brings back great memories."